If you find a credit report error, you need to act on it fast. The after effects of the Great Recession left a lot of Americans suddenly concerned about the state of their credit. And you really should be. Your credit report holds a lot of weight on your financial life – especially when you are relying on loans to get your ahead on your financial goals. So if you ever find an error in your own report, make sure you know what to do. According to a report published on ConsumersUnion.org, the FTC (Federal trade Commission) revealed that one in every five consumers found an error in their credit reports. That means an estimate of 40 million consumers encountered problems with their reports. 5% or 10 million consumers had severe credit report mistakes that could make them pay more in terms of loan interest rates. The same report mentioned that consumers found a lot of errors in their credit data. This includes finding an entry that did not belong to them. That could mean identity theft problems. On one side, some people said that they had a more simple credit report error – merely needing an update. But regardless of the error that you find, you need to correct that. But before you can deal with an error in your credit report, you need to find out what caused it in the first place. There are a couple of reasons to lead your data to be ruined – one more severe than the other. Here are 4 reasons why you have a credit report error. Your own mistake. We are all bound to make mistakes – even when it comes to our own information. This is why you have to be very careful about how you will fill out application forms for credit accounts or any loan that you want to make. Sometimes, there are cases when you need to write on the form by hand. If your handwriting is all over the place, whoever will encode your data might make a mistake. So make sure that if you are filing out something or providing your information, you double check what you are placing. Because that may end up as a serious error in your credit report. Try to be consistent in the information that you will provide. If it is your mistake, then you may want to call the financial institution that you submitted the information to so you can correct the mistake. You may have to call the credit bureau too so you can update your information. The bank, lender, creditor, or similar entities’ mistake. These are the mistakes that are sent by the people you provided information to. These are the ones that submit the information to the credit bureaus. If it was not yours, then you may want to check out if the bank or the entity that submitted your information made a mistake. In the event that they are responsible for the credit report error, it might be harder for you to track if they did correct the mistake or not. Sometimes, you may have to go through the investigation to prove that they did make the mistake or not – at least, that depends on the institution. In any case, make sure that you follow up your case until the mistake in your credit report is edited. There are also cases wherein you are in the midst of a dispute and the creditor or utility company marked it off as a late payment or something. You may want to resolve this so your records can be corrected. The credit bureau’s mistake. If you find a credit report error and you are sure that you did not make a mistake and the same is true for the bank, then it is probably the fault of the credit bureau that is collecting your data. These bureaus collect millions of data and despite a sophisticated database, they are bound to make mistakes too. They can mix the files or misreport your information. The repercussions of these errors could be severe – so make sure you dispute the mistake as soon as possible. At any case, their process is not fail-safe so always be on your guard. The case of identity theft. If none of the other three checks out, then you may be a victim of identity theft. This is when someone else takes your personal and financial information to buy things and make you pay for it. In other words – they will steal from you. According to an article from CNN.com, there were 13.1 million cases of identity theft reported in 2013. In fact, they claimed that one American falls victim every two seconds. The thing about this is, only you can spot this credit report error. As long as it is done under your name, the credit bureau will put it in your report. But if you send them a letter to dispute an entry, that is the only time they will investigate. If you do not file a dispute, then the record will stay on your report and the crime will go unpunished. The key to correct an error in your credit report is to know about it first. If you are not aggressive in your credit monitoring, these mistakes will not be corrected. No matter how careful you are with your money, a tarnished credit report can haunt you and keep you from pursuing your financial goals. If you have a credit report error, you could be facing a couple of problems. Here are some of the things that you could encounter. Wrong credit score. According to FINRA.org, people only bother to check their credit score when they are about to buy a home. If you do have an error in your credit report that you did not correct, you might find that it is enough to ruin your chances of getting your dream home. 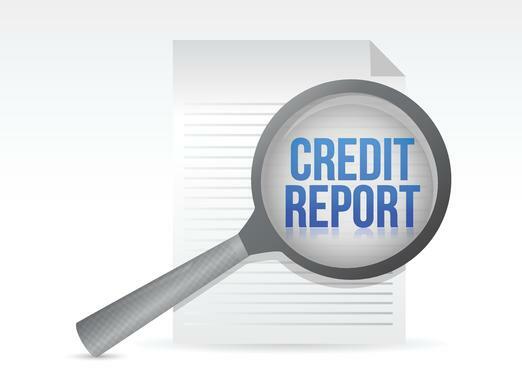 That wrong entry in your report may be responsible for you having a low credit score. We all know that a low score could mean the disapproval of your loan. If you are approved of the loan, you may be asked to pay a higher interest on it. Not only that, insurance companies can also ask you to pay higher premiums. These look into your credit score so make sure you keep it high by correcting any error that you see on your report. Paying for debts you do not owe. In case your credit report error is caused by identity theft, you might find yourself paying for an account that you never borrowed. This is especially true if it took you a long time to discover the theft. The longer it takes for you to report an error, the harder it will be to prove that you did not open that credit account. Debt effects can be very devastating – much more if it was a debt you never got in the first place. Missing out on opportunities. A credit report error can also make you miss out on a lot of financial opportunities. For instance, employers usually look at your credit report before hiring you. Potential business partners also look at this data to determine how well you manage your finances. A bad credit history could bring your reputation down. In the end, that one credit report error could end up leading you to a lot of financial problems in the future. Make sure that you monitor your credit report regularly and dispute any incorrect information that you find – and do it immediately.